The unknown is far greater than in recent seasons. The end result, though, is expected to be the same. 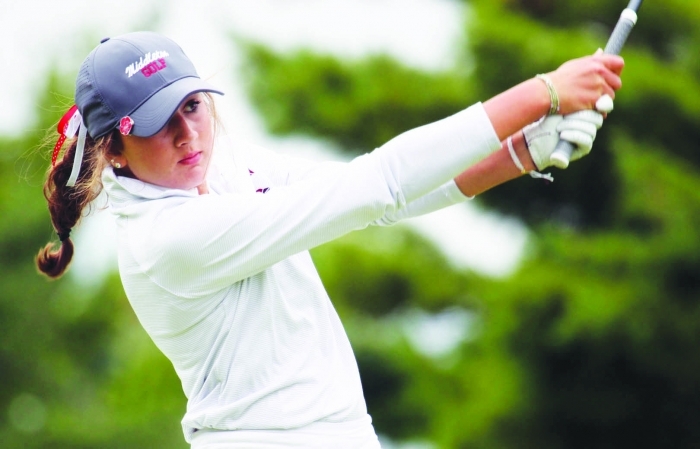 Middleton’s girls golf team, a state power for more than two decades, has reached the WIAA Division 1 state tournament six consecutive years and eight of the last nine. But the Cardinals have some major holes to fill this fall. Middleton lost three of its top five players from last year’s team that finished eighth at state, including Big Eight Conference Player of the Year and all-state performer Payton Hodson. But the cupboard is never bare at Middleton, and coach Becky Halverson believes her newest group of varsity players can keep the Cardinals’ tradition of greatness alive. The return of junior Kate Meier should help the Cardinals chase all of those goals. Last season, Meier earned first-team all-conference and honorable-mention all-state honors. Meier averaged 82.38, an improvement of 2.78 shots from 2016. Meier also played in the Middleton City Championship last weekend and shot a second-day 72. “Kate is our team captain this season and will be a great leader for our team,” Halverson said. “Kate is so much fun to be around on the golf course. Junior Makenzie Hodson could be poised for a big year herself. Hodson cracked the varsity lineup last season and should be ready for a strong season. “It will be good to have Mak in the lineup with some varsity experience,” Halverson said. After that, Halverson will be filling out her lineup card from a young and inexperienced bunch. That group includes senior Danielle Callahan, juniors Emma Kostecki and Kennedy Francois, sophomore Glenna Sanderson and freshmen Ellie Frisch, Milanne Dahmen, Devan Utter and Karlye Kriewaldt. The Big Eight Conference appears wide open. And the postseason could be tricky, with Waunakee looming as a team to beat. But the Cardinals have been a power since the late, great Dewey Stendahl took the program to prominence in the 1990s. And Halverson — a one-time standout herself under Stendahl — has done a masterful job of taking Middleton to even greater heights. So even in an apparent rebuilding year, Halverson is hoping her team can simply reload. “I'm not exactly sure what to expect come Thursday (when the year begins),” Halverson said. “I know I hope that they show up and are positive their entire round and give their best effort.